All the great harness horses have been sidelined for the season. They await the grand birthday party on Jan. 1 that hurls them into new divisions and hopefully new fortunes or finds them tending stud or maternal duties. Their divisional awards fate rests in the hands of the voters. As far as awards go, we will lead you to the best texts that explain how the industry decided its best by category and overall. However, we will be giving out our own awards in our penultimate blog for 2013. Those awards will be announcements that claim our Player’s Horse of the Year. He or she may not have qualities of greatness other than having the one qualification to be crowned among the best: pari-mutuel win price. As is our own tradition in this blog, we will list the top money horses that this blog presented during the season. In descending order, every horse we supported, as documented in this blog, will be listed by the amount they paid to win, starting with 10-1 shots. The horse at the top of the list, that one paying more than all the others, will be our Player’s Horse of the Year. Don’t expect a performer you may have only heard of once this season and certainly don’t expect many if any of the 10-1 and up shots to be included in the industry’s list of champions. As players we need our own heroes based on our role in keeping the industry afloat and thanks to TwinSpires the harness industry—and during Grand Circuit season the Hambletonian Society—focus on playing the game, making pari-mutuel profits our first and foremost concern. Meanwhile, with all of the stakes completed from coast to coast, the focus on the bread-and-butter races during the winter months may produce more unknown names that may assist in great profits. This is a reason why the horses-to-watch (H2W) list has been pumped, adding some different tracks and more possibilities for play throughout the week. Due to the volume of H2W horses, of course, we do not give specific commentary on the participants. What we will be doing until there are more high-profile races about the circuits is feature a single race with the kind of analysis we give to major affairs during the regular season. These may not be the program’s best-on-the-grounds race, mind you. They will be a race we feel strongly about wagering regardless of class or gait. This conditioned-claimer offers a strong outside contender, Theshipscrusinin. The mare returns to the track after being scratched sick (whatever that means considering we are never given an explanation when such a reason is posted) after losing in this class as the dead-on public choice. She was the choice there because the five races before it saw her in deep contention, once being ignored at 11-1. She could be tons the best here as less experienced foes join the class. With her for exotics, you are forced to use My American Girl, the most likely public choice and rightfully so. If you wish to dig heavier into exotics, use Babyshesanoptimist, who has some back class with tough trips (check odds because it would not be a shock if she took it all). 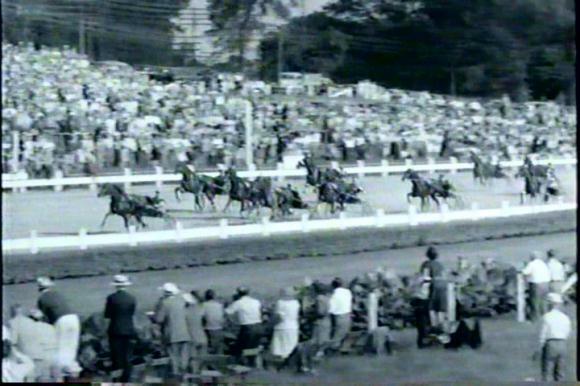 The Open Pace for the night will take some guts on your part, as we are focusing on the 8 horse and that is never a popular place to start at the New York half-mile track. But not being popular is what makes Dallenbach Hanover irresistible. The crowd will lay off of the gelding first due to post and second due to driver Larry Stalbaum, who replaces the beloved Brian Sears in the bike. But that doesn’t bother us, we have had confidence and success with Larry before and never put the kind of emphasis on a top driver that is common with the betting public. A plus for this pacer is the fact that he has won from post 8 at Yonkers before, albeit in a lower class but easily won at this level two back when well placed early. The morning line is 8-1 and we will be thankful getting that or near it.